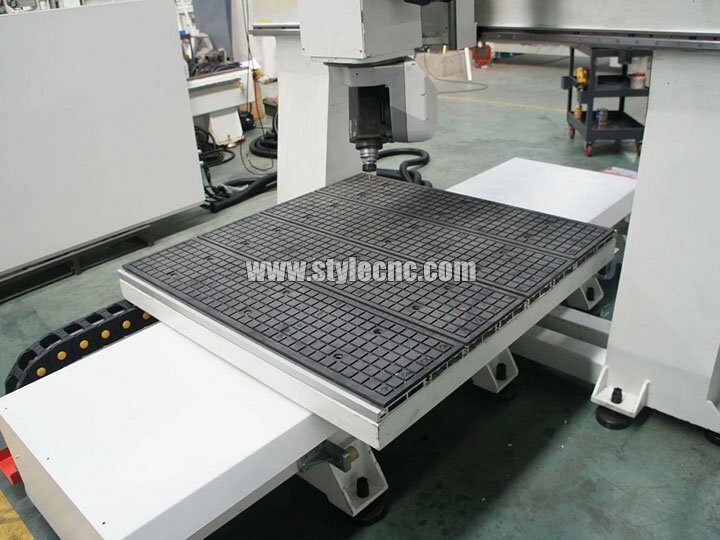 Small 5 axis CNC machining center is widely used to process aluminum alloy, long strip homeomorphism chair back, bag suitcases homeomorphism cutting, homeomorphism square tube cutting, etc. 1. 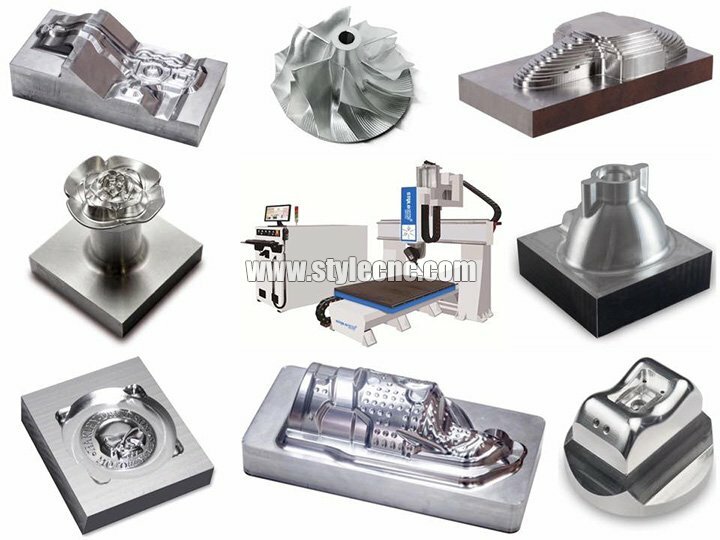 Mold industry: casting mold, automobile, sanitary ware mold, ship, yacht, aviation industry, etc. 2. 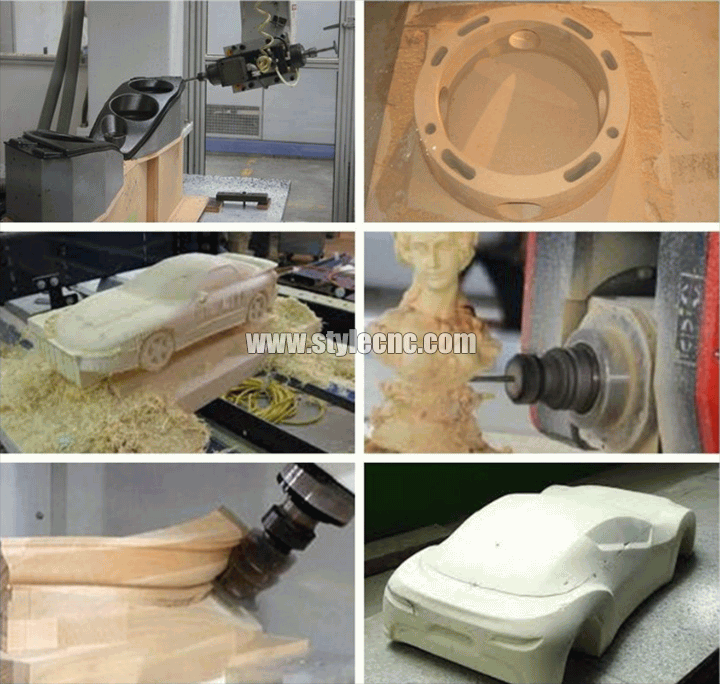 3D processing: fiberglass trimming, resin and other non-metal carbon-mixed work pieces processing. 3. Furniture industry: cabinet door, wooden door, solid wood furniture, stereo box, computer desk, game cabinets, etc. 4. 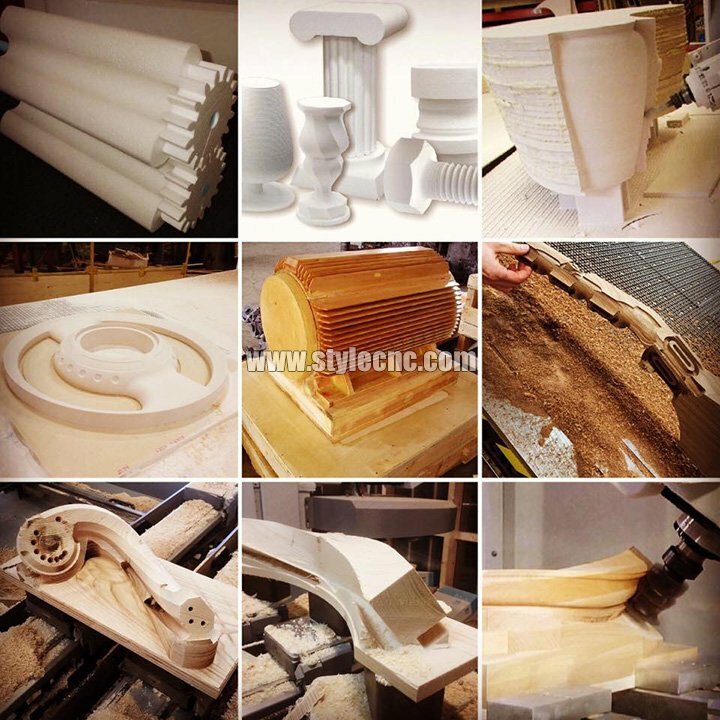 Decoration industry: acrylic, PVC, density board, stone, organic glass, soft metals(aluminum and copper), etc. 1. 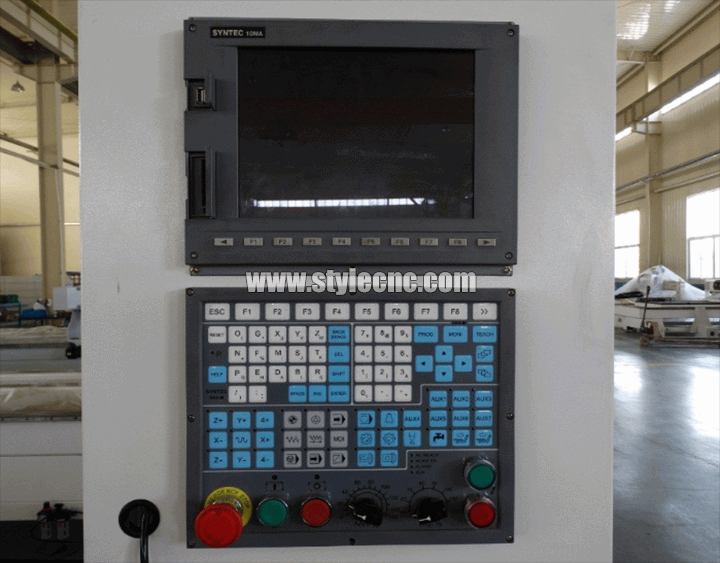 Small 5 axis CNC machining center adopts Taiwan Syntec five axis synchronizing cnc control system, with Italy HSD imported high power 5 axis head, easily implement stereoscopic five-side processing one time. 2. 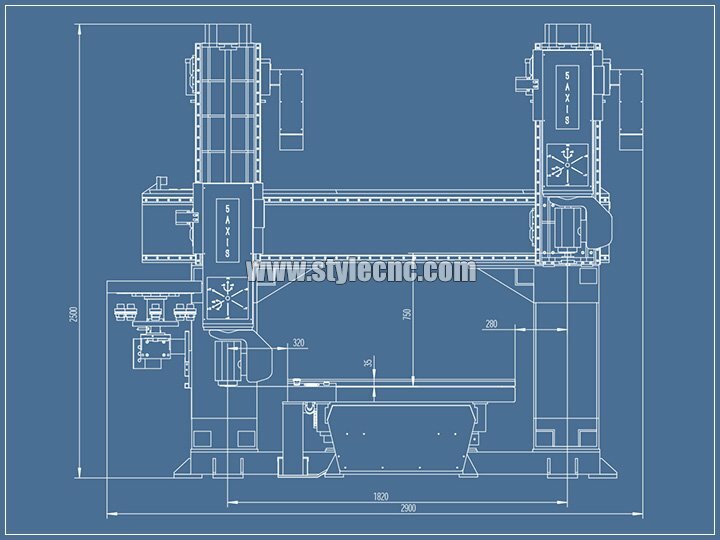 The machine body of small 5 axis CNC machining center is heavy duty thicken aging treatment and casting iron table, transmission adopt Japan Yaskawa servo motors and Japan SHIMPO high performance reducer. 3. High accuracy ball screw from Germany. 4. 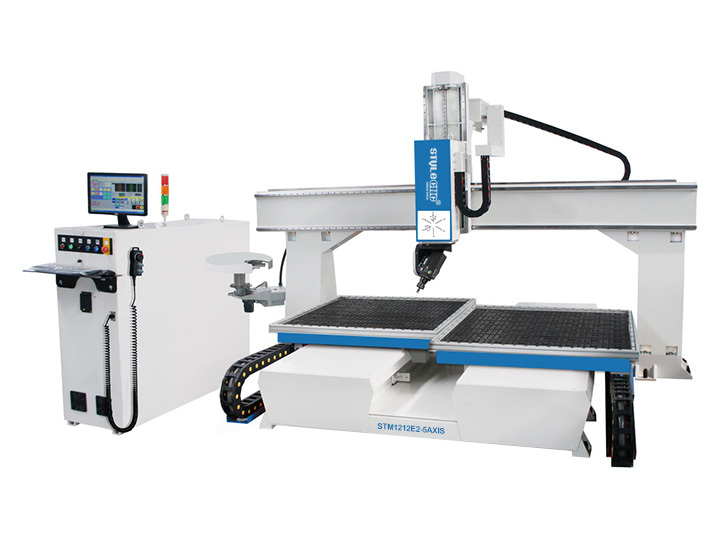 Small 5 axis cnc machining center adopts Schneider Electronic Spare parts. 5. Drum style auto tool change with 8 positions for optional. 6. 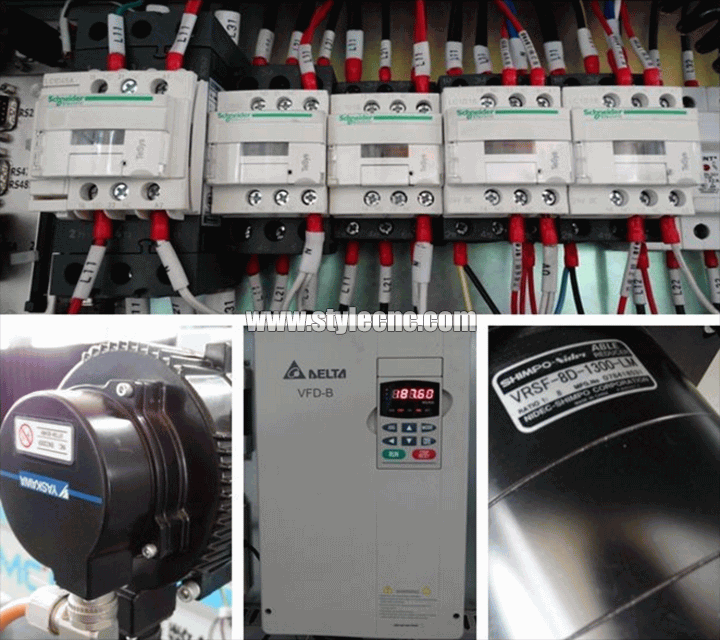 Many optional configuration and OEM service available. According to your requirement, different configurations will be offered. OEM service is available for you. 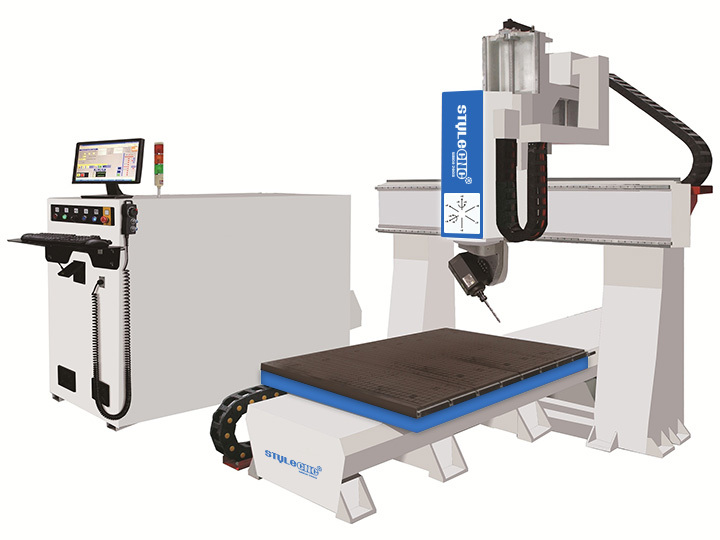 You can slao choose doule tables, double the productive efficiency by allowing loading and unloading operations on one station without interrupting the work cycle. 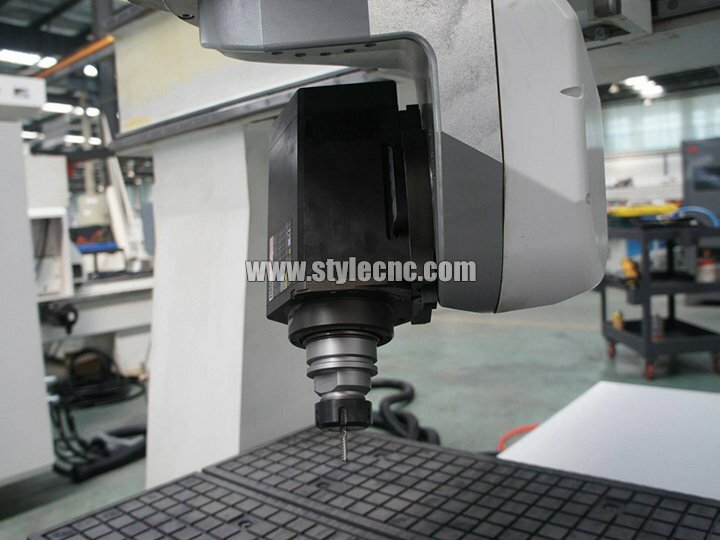 License: The text of "Small 5 Axis CNC Machining Center for sale" by STYLECNC is licensed under a Creative Commons Attribution 4.0 International License. Very fast delivery from manufacturer. Assembled according to the English instructions. Powerful. 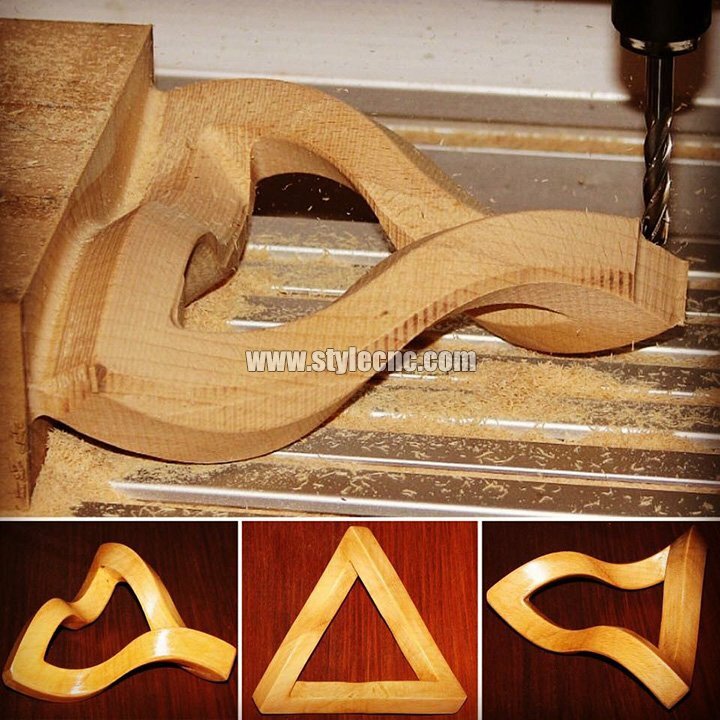 I didn't expect that the 5 axis CNC machine would be so good. The engineers answer questions and help online. Recommend.